One-room cozy apartment "Imperiahouse on Sq. Independence "are located in the central part of the city of Rivne. 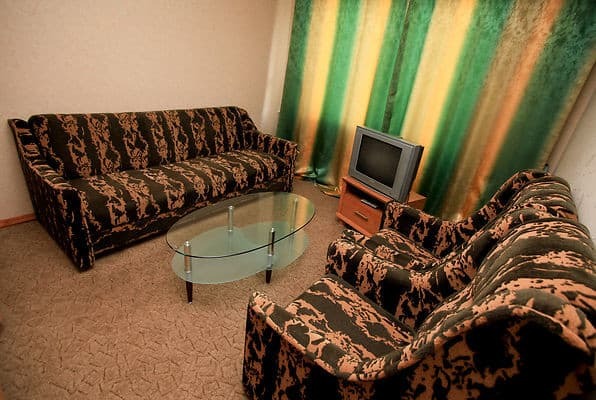 For comfortable stay of the guests in the apartment there are all necessary furniture and appliances: sofa, armchairs, double bed, wardrobe, coffee table, iron and ironing board, hair dryer, TV (cable TV). 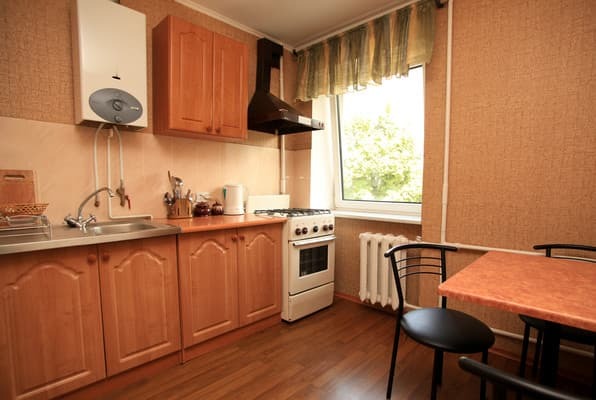 The kitchen is equipped with dishes and cutlery, gas stove, microwave oven, refrigerator, electric kettle. To services residing high-speed WI-FI. Near the house there is a supermarket, restaurants, a coffee house "Prague", a cinema. In 10 min walk from the house there is a park named after TG. Shevchenko and the shopping center "Zlata Plaza". The apartment is located 5 minutes drive from the train station. Apartment "Imperiahouse on Sq. Independence "is a comfortable accommodation, combining cozy home atmosphere and high customer service! Description of the room: Comfortable one-room apartments, equipped with everything necessary for a comfortable stay. Все сподобалось. Квартира охайна, зручне розташування. Без проблем заїхали о пізній годині. Охайнійсть Швидкість поселення та комунікація з власником Розташування квартири (центр, поруч знаходяться дві круті кавярні) Наявність усіх необхідних умов (туалет, праска, телевізор, чайник, посуд, холодильник). Запах в квартирі - смерділо цигарками Колонка майже на працює - гаряча вода йде лише 2-3 хвилини, потім знову необхідно чекати, поки нагріється. 4 поверх, ліфта немає. Неможливо знайти, власники не відповідають на дзвінки. Після 2-годинного чекання нам відповіли що нашого бронювання немає і їхній менеджер щось перепутав. Пообіцяли передзвонити, натомість до кінця дня просто збивали наші телефонні дзвінки.Це - ЖАХ. 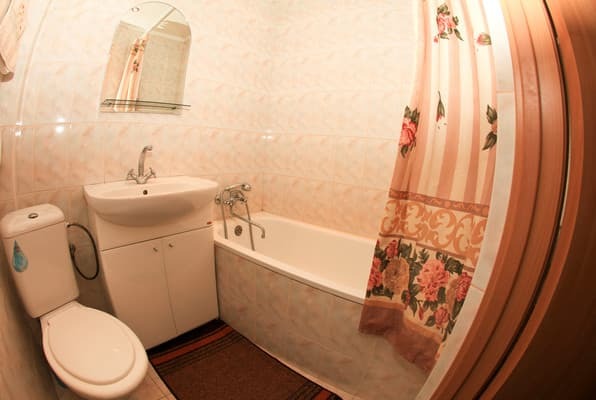 The apartment is located 5-7 minutes walk to the cinema cantaloupe "Ukraine". You can get to the apartments from the bus station by minibus №64, 34, 32 (stop of kinopalac "Ukraine"). The railway station is 5 minutes away.